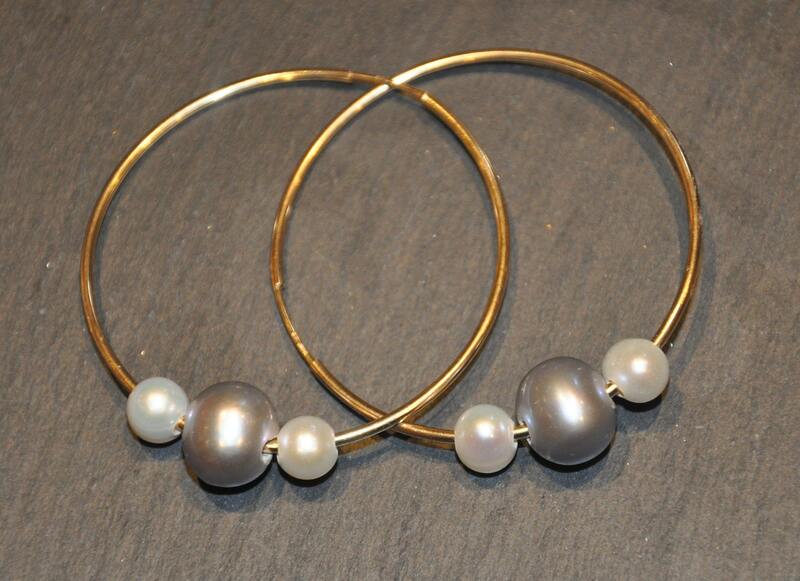 These endless hoops come in 14k gold-filled or sterling, and are sophisticated and fun, with a collection of freshwater pearls for you to arrange as you'd like. 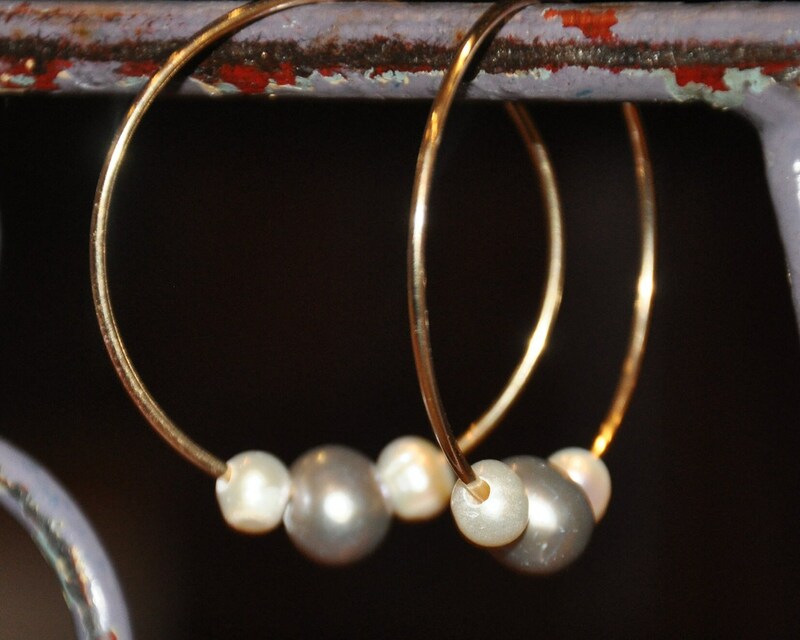 They are bold yet elegant, and could be worn with jeans, shorts, or a little black dress. The colours will let you accessorize well with any colour. 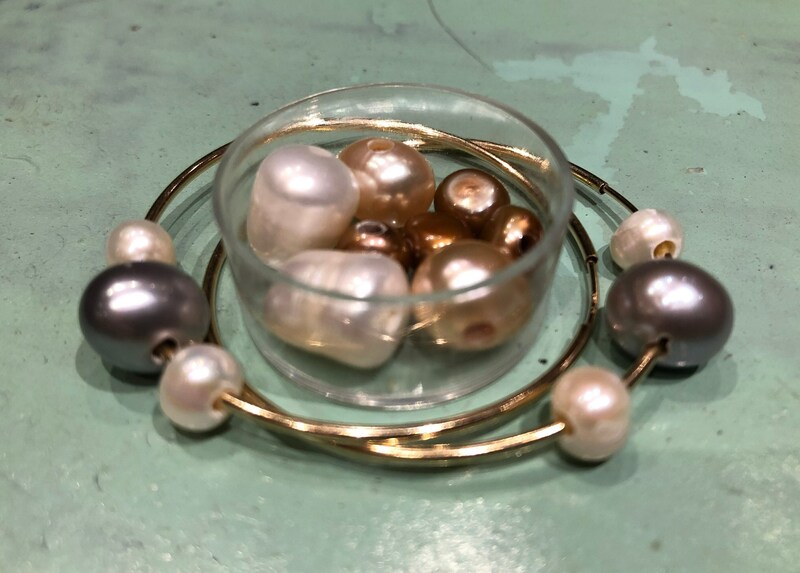 The set comes with two large grey pearls, four small white pearls, two large golden brown pearls, four small dark gold pearls, and two large white pearls. 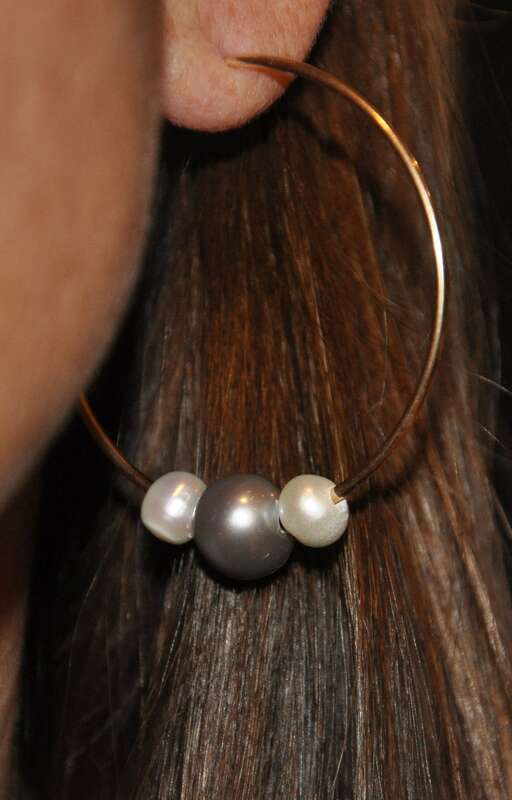 The sterling silver set comes with peacock pearls (blue-purple-black) instead of gold and brown.